Netflix Dumps Kevin Spacey From 'House Of Cards' Amid Harassment Complaints : The Two-Way The company had first said it would cancel the series after the 2018 season, then suspended filming of those episodes and now has fired Spacey. Netflix also says it will not complete post-production work on the film Gore, which Kevin Spacey produced and starred in. Amid sexual harassment complaints against Kevin Spacey, Netflix says it has ended its association with the actor on the TV series House of Cards and the film Gore. Spacey has not been charged with any crime, but actor Anthony Rapp has accused him of making sexual advances when Rapp was 14 years old. 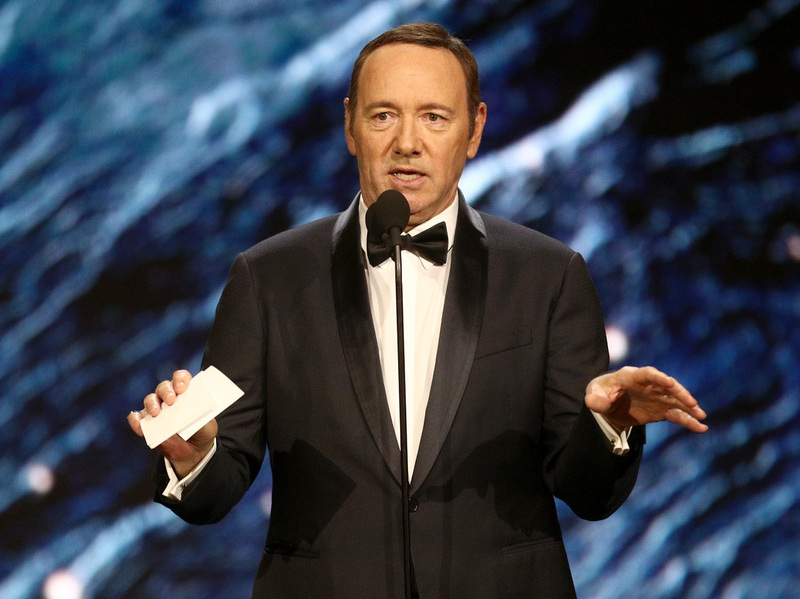 Spacey has said he didn't remember such an incident but apologized for any "drunken behavior." "London police are reportedly investigating Spacey for a 2008 sexual assault, British media reported Friday. "Police did not identify Spacey by name but said the department's child abuse and sexual offenses unit is investigating the reported assault after it was referred to police earlier this week." Netflix initially said it would cancel House of Cards after the 2018 season but then suspended filming. Now it says, "Netflix will not be involved in any further production of House of Cards that includes Kevin Spacey. We will continue to ... evaluate our path forward as it relates to the show." Netflix also says it will not complete post-production work on the film Gore, which Spacey produced and starred in. Spacey is one of the high-profile public figures to be accused of sexual misconduct in the wake of harassment and assault allegations against movie producer Harvey Weinstein. NPR this week ousted senior vice president for news Michael Oreskes over harassment complaints.